Makar Sankranti Festival – Significance, Legends and Celebration! The Hindu festival as Makara Sankranti, also known as Makaraa Sankrānti or Maghi, is an auspicious day in the Hindu calendar and related to deity Surya (sun). It is occurred each year in January. It marks the first day of sun’s transit into the Makara (Capricorn), marking the end of the month with the winter solstice and the start of longer days. 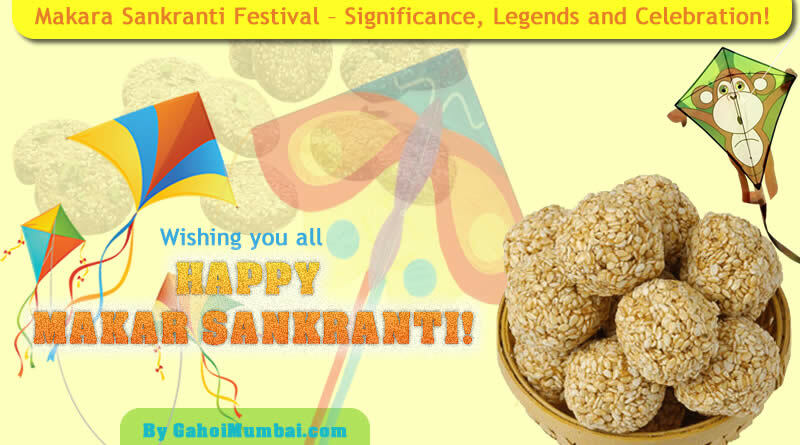 Makar Sankranti is also known as harvest festival celebrated by Indians and is devoted to the Sun God. Also known as Makara Sankranti or Maghi, the festival indicates the entry of the sun into the zodiac sign of Makara (Capricorn) as it travels on its celestial path. This marks the end of winters and the onset of spring. It falls on the first day of the month of Magha, as per the Hindu calendar. An auspicious Makar Sankranti are known by numerous names such as Maghi (preceded by Lohri) by north Indian Hindus and Sikhs, Makara Sankranti (Pedda Pandaga) in Andhra Pradesh, West Bengal, Karnataka and Telangana, Sukarat in central India, Magh Bihu by Assamese, and Pongal by Tamils. Makara Sankranti is a unique ancient Indian festivals that has been observed as per the solar cycles, while most festivals are set by the lunar cycle of the lunisolar Hindu calendar. Generally, it always falls on the same Gregorian date every year (January 14), apart from in some years when the date shifts by a day as 15 January in 2019. Makara Sankranti is set by the solar cycle of the Hindu lunisolar calendar, and is observed on a day which usually falls on 14 January of Gregorian calendar, but sometimes 15 January. It indicates the arrival of longer days. Makar Sankranti falls in the Hindu calendar solar month of Makara, and lunar month of Magha (the festival is also called Magha Sankranti or Magha festival in parts of India). It marks the end of the month with winter solstice for India and the longest night of the year, a month that is called Pausha in lunar calendar and Dhanu in the solar calendar in the Vikrami system. The festival celebrates the first month with consistently longer days. The festival is devoted to the Hindu sun god, Surya. The significance of Surya is noticeable to the Vedic texts, particularly the Gayatri Mantra, a sacred hymn of Hinduism found in its scripture named the Rigveda. The festival also marks the commencement of a six month auspicious period for Hindus known as Uttarayana. An auspicious Makara Sankranti is witnessed with social celebrations such as colorful decorations, rural children going house to house, singing and asking for treats in some areas (or pocket money), melas (fairs), dances, kite flying, bonfires and feasts. As per legends and history, The Magha Mela is mentioned in the Hindu epic Mahabharata. Numerous go to sacred rivers or lakes and bathe with thanksgiving to the sun. Every twelve years, the Hindus observe Makar Sankranti with one of the world’s largest mass pilgrimages, with an estimated approximately 60 million people attending the event. At this event, they say a prayer to the sun and bathe at the Prayaga union of the River Ganga and River Yamuna at the Kumbha Mela, a ritual attributed to Adi Shankaracharya. It is observed as important for divine practices and accordingly, people take a holy dip in rivers, especially Ganga, Yamuna, Godavari, Krishna and Kaveri. The bathing is believed to result in merit or absolution of past sins. They also pray to the sun and thank for their successes and prosperity. As per Indian traditional practices found amongst Hindus of several parts of India is making sticky, bound sweets particularly from sesame (til) and a sugar base such as jaggery (gud, gur). This type of sweet is a symbol of being together in peace and joyfulness, in spite of the exclusivity and differences between individuals. For most parts of India, this period is a part of early stages of the Rabi crop and agricultural cycle, where crops have been sown and the hard work in the fields is mostly over. The time thus indicates a period of socializing and families enjoying each other’s company, taking care of the cattle, and celebrating around bonfires, in many states like Gujarat, Maharashtra, this festival is celebrated by flying kites. An auspicious Makara or Makar Sankranti is celebrated in several parts of Indian subcontinent with some regional variations. 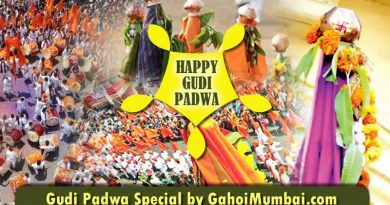 It is known by different names and celebrated with different customs and practices in various parts of the Indian and abroad. In Karnataka and Kerala, it is known as Suggi Habba, Makara Sankramana, Makara Sankranthi. In Odisha, it is known as Makara Sankranti or Makara Mela and Makara Chaula. In Andhra Pradesh and Telangana, it is known as Makara Sankranthi. In Gujarat, it is known as Uttarayan. 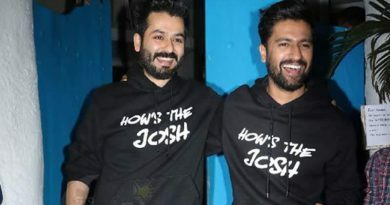 In Haryana, Himachal Pradesh and Punjab, it is known as Maghi. In Assam, it is known as Magh Bihu or Bhogali Bihu. In Kashmir Valley, it is known as Shishur Saenkraat. In Uttar Pradesh and western Bihar, it is known as Khichdi. In Mithila, it is known as Tila Sakrait. In Nepal, it is known as Maghe Sankranti or Maghi- /Khichdi Sankranti. In Bangladesh, it is known as Shakrain/ Poush Sangkranti. In Pakistan (Sindh), it is known as Tirmoori. In Sri Lanka, it is known as ThaiPongal. We are giving here Makara Sankranti special cuisine names and their recipes. Please make them at home and celebrate auspicious Makara Sankranti. Til Aur Gur Ke Ladoo (Sesame Balls) – Tilkut Recipe! Sabudana Khichdi (Sago Khichdi) and Its Recipe! Sabudana Vada Or Fried Dumplings Recipe! Besan Ka Halwa – a sweet dish and its recipe with video! ← Use of Curd and Lemon Juice for dandruffs and hair loss treatment! 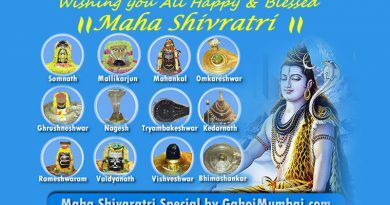 Wishing you all Happy and Blessed Maha Shivratri! 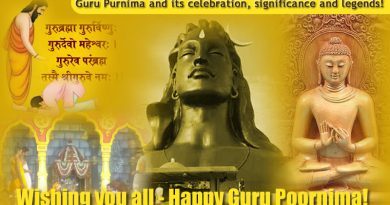 Guru Purnima and its celebration, significance and legends!